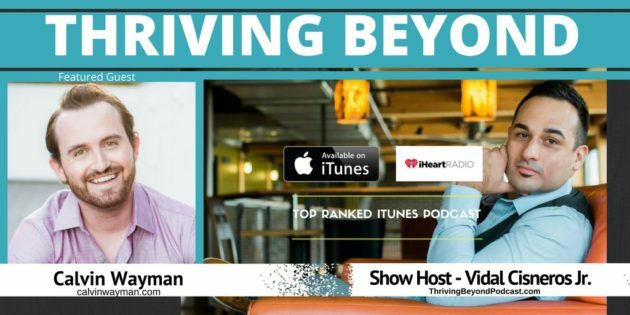 TB 45: Calvin Wayman - Vidal Cisneros Jr.
Meet Calvin Wayman, he’s an author, speaker, and social media entrepreneur. He owns CobbesMedia – a social media management agency designed for entrepreneurs to stand out beyond 97% of everyone else on social media. He’s been featured in Entrepreneur Magazine, Social Media Examiner, The Huffington Post, and was even named one of the Top 30 Entrepreneurs Under the Age of 30 by Influencive.com. Calvin released his first book,“Fish Out of Water” which debuted on the Amazon top-100 of all books in the Success category. In Spring 2015, he quit his day-job to pursue his dream of working for himself and went selling door-to-door as a man on a mission. Listen as we share more.